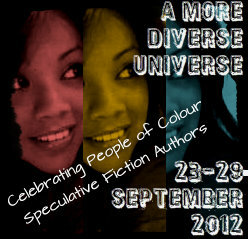 So many of you have signed up to participate in the A More Diverse Universe blog tour, which has been the highlight of my week. How many of you? FIFTY! That is a seriously amazing number. And if each one of you can get one more person to participate - well, I think you know that if you do the math, that makes 100. I can't even tell you how glorious it would be to get a century's worth of people reading and reviewing books. I'm going to aim high, but I'm already so, so happy! I understand, though, that people are having trouble finding books to read. This is part of the reason why this blog tour is so important! It is so difficult just to find books that qualify for the tour, and there are only two requirements for the tour: POC Author, Speculative Fiction genre. So I thought I'd help you out a little bit with a list of authors and books that might strike your fancy. Salman Rushdie - I feel like Rushdie is one of those authors who is offended when people say his novels are "fantasy," but the fact remains that Rushdie's work is often steeped in magical realism. The Enchantress of Florence is about the Emperor Akbar of Mughal India fame and his beloved and beautiful wife, Jodha - who may or may not have existed. Beautifully written, with a strong and flawed central character, and wonderfully evocative of India. 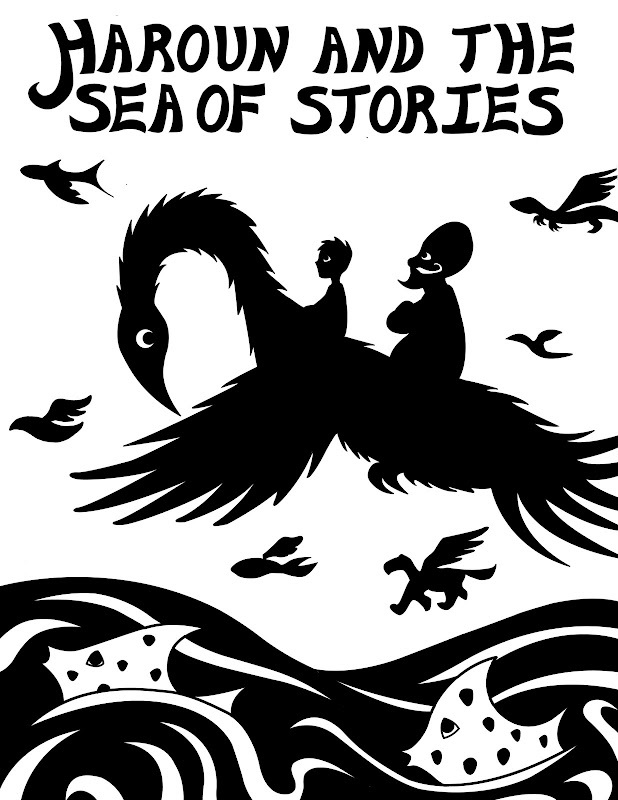 Haroun and the Sea of Stories is a young adult novel that Rushdie wrote for his son about a young boy and his storyteller father and their fantastical journey together. Sarwat Chadda's new young adult novel The Savage Fortress is about an Indian-English boy who returns to India and sees elements of the Ramayana come to life. I haven't read the book yet, but there is an excellent review of it over at The Book Smugglers! 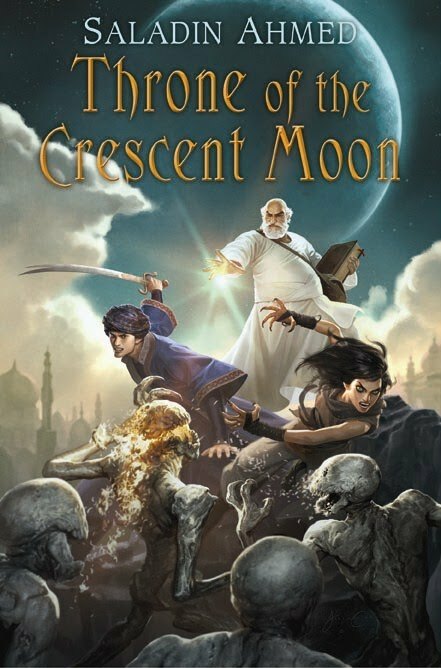 Saladin Ahmed's Throne of the Crescent Moon has been on my wish list for a long time. Based on the mythology and history of North Africa and the Middle East, this is a welcome, fresh take on the traditional epic fantasy novel. And speaking of the Middle East, it's hard to mention it without thinking of the Arabian Nights! 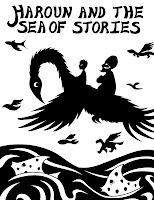 If you want a traditional take on these timeless tales, check out Husain Haddawy's "authoritative text." For a more modern take on the novel, try Rabih Alameddine's absolutely wonderful novel, The Hakawati. Where the Mountain Meets the Moon is a similar story by Grace Lin about the power of storytelling in a young Chinese girl's life. If you are looking for something quick but engaging, or want to read a book with beautiful illustrations, this one's for you! If you want a different spin on Asian fiction, give When Fox is a Thousand a try. It's described as combining "Chinese mythology, the sexual politics of medieval China, and modern-day Vancouver to masterfully revise the myth of the Fox (a figure who can inhibit women’s bodies in order to cause mischief)." Sounds good to me! Green Grass, Running Water by Thomas King is one of my top reads for 2012. An amazing story about Native Americans trying to make it in the modern world - I loved the narrative style of this one, alternating between the characters and the narrators and sharing so many lessons along the way. This is a book I plan to purchase in hardcover very soon. And it's hard to mention Native American fiction without mentioning Sherman Alexie! Flight is not my favorite book by Alexie, but it is a very powerful look the modern foster care system and the children that are so impacted by it, for better or for worse. Further south in the Americas are the magical realists of South America. I read Gabriel Garcia Marquez's 100 Years of Solitude in high school and still remember some of its most vivid scenes. 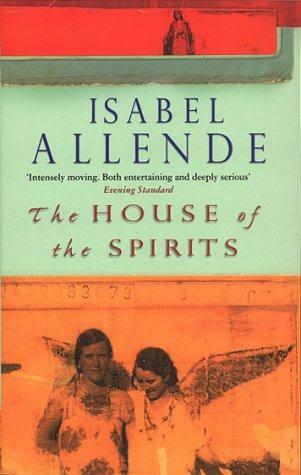 I've had The House of the Spirits on my shelf for years, but have still yet to read one book by Isabel Allende. One of the books I have out of the library and plan to read for this event is Aunt Julia and the Scriptwriter, Mario Vargas Llosa's Nobel Prize-winning semi-autobiographical novel about a young man, his affair with an older aunt, and a man who writes soap operas. Octavia Butler - I don't think there's much I need to say about her! She's the most popular author on this blog tour by far. I found Kindred very moving and have heard many positive things about the rest of her books, too! N. K. Jemisin - Hit the fantasy world by storm a few years ago with The Hundred Thousand Kingdoms, an epic fantasy novel about racism, classism, interfering gods, and being true to yourself. She's in the midst of writing a new series as well. Nnedi Okorafor - A Nigerian American author who has won a lot of awards, including the World Fantasy Award for her novel Who Fears Death, which takes place in a post-apocalyptic Africa. She also writes young adult fiction that features Nigerian culture. 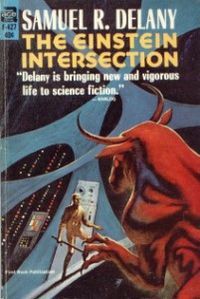 Samuel R. Delany - This author is most famous for his novel The Einstein Intersection, which won the Nebula award when it was published. His book Tales of Neveryon takes on the topic of slavery in an Eastern setting. Graphic novels more your style? Then you have a TON of options! The entire manga genre is open to you :-) Or try Hiromi Goto's Half World, which Jill of Fizzy Thoughts tells me is really, really great! It's about a girl who must go to the Half World to save her mother from a creeptastic villain. Goto has written other novels, too - find her on GoodReads! Don't have enough time for a full novel and want to read a short story instead? Check out one of these amazing anthologies and pick one that grabs you at the first line! WHEW! That was a lot, and not even the tip of the iceberg! I hope that sends you out on a highly enjoyable search for books and authors and that you find even more that you can recommend and share with us, too. I can't wait to see what you choose! I am very excited about the week, too - it's coming up soon! So many great suggestions! Also, a few years ago Rushdie wrote a sequel to Haroun called Luka and the Fire of Life. If everything goes well and I'm back online in time, I might read that one for the tour. Also, whenever someone mentions Green Grass, Running Water I want to recommend Monkey Beach by Eden Robinson, which I read for the same class. The speculative elements are more subtle in that one (it's more Gothic than straight out magic realism), but it's such an excellent book. I just read Wild Seed by Octavia Butler, and it was fantastic!! I might have liked it even more than Kindred. A writer friend of mine is a HUGE fan of hers, and told me that he thinks Wild Seed is the best of her works. I can see why now! PS - Sorry I'm not joining in here. I'm not reviewing books at all anymore, or I would. Oh, wow - thanks for letting me know. I know we often don't have the same opinions of books, but we DID both love Kindred, so I am going to watch out for Wild Seed, too. You've tempted me with When Fox is a a Thousand. Big fan of the whole fudoki myth. I want to read that one, too! It sounds really great, and was out of print for a while before coming back. The Throne book is on my wishlist too. I hear good things. I know, Throne of the Crescent Moon sounds great! I really wanted to read an Australian indigenous author but it turned out to be far more difficult than I thought. I asked around and ended up with only one suggestion so that is the one that I am reading. Oh, no. That is really unfortunate. I'll see if I can look around and find anything else for you, too. I think I am going to take your sage advice and go with Green Grass, Running Water. I remember you just raved over that book, and since our reading tastes are pretty similar, I think this will be the best option for me. Lots of great choices here today, though! I can't wait to hear your thoughts on it!! I just want to say thank you for doing this. I am a huge fan of Octavia Butler's so of course I've picked a piece of her work that I had been trying to get to but hadn't got around to yet. But even better, I have discovered more authors to check out and that makes me (not my reading pile) very happy!!!! Oh, I'm so glad to have been of service! Once the week kicks off, too, I bet you'll have so many more books to choose from! 50 people so far?!? Woo-hoo!! We are SO CLOSE to 60 people! I thought of a book I read that would go with Diverse Universe: Motorcycles & Sweetgrass by Drew Hayden Taylor (First Nations) In it a god shows up and makes trouble. I forgot all about it until now. It was really funny, actually. I saw the title of this and panicked for a second in fear that the week was happening way sooner than I had thought it was happening. I HAVE NOT WRITTEN MY REVIEW YET. But phew, it is okay. I read Akata Witch and I'm hoping to squeeze in an Octavia Butler book too, although not counting on it. Yay! Still excited! 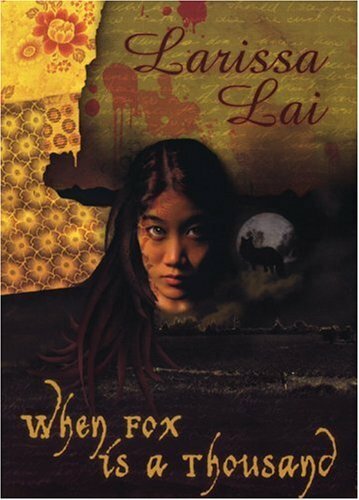 I'm echoing the enthusiasm for Larissa Lai's works; I've read When Fox is A Thousand twice and it's great, as is her Salt Fish Girl (though less mythic). Nalo Hopkinson's The Chaos is on my stack for this event; I also want to re-read her first novel, Brown Girl in the Ring, but my favourite of hers, so far, is Midnight Robber. It's fantastic! So cool that participation is solid: great stuff! Fantastic list! I can't wait to see what everyone is reading for this event. I'd like to review Indigo Redemption for this group, unless you need me to do another. If anyone is still looking for books, I'd suggest Carpentaria, by Alxis Wright--by and about Australian Aborignals and Women without Men, by and about Iran magic. Thanks for those suggestions! I know Marg at Intrepid Reader wants to read Aboriginal fantasy. This is so amazing! Do you do this every year? If so, I'd be really interested in joining in for 2014. I've been trying to diversify my reading list while staying within speculative fiction, which is my favorite genera. I've got N.K Jemisin's Hundred Thousand Kingdoms looking at me from atop the TBR pile right now. Yup, every year! To be fair, though, it only started in 2012, so twice so far. I think this year, I will cast a wider net and not limit people to speculative fiction. I completely understand how difficult it is to diversify reading while in the SFF genre - it's REALLY hard! If you look at the link-up posts, you should find some great reviews!